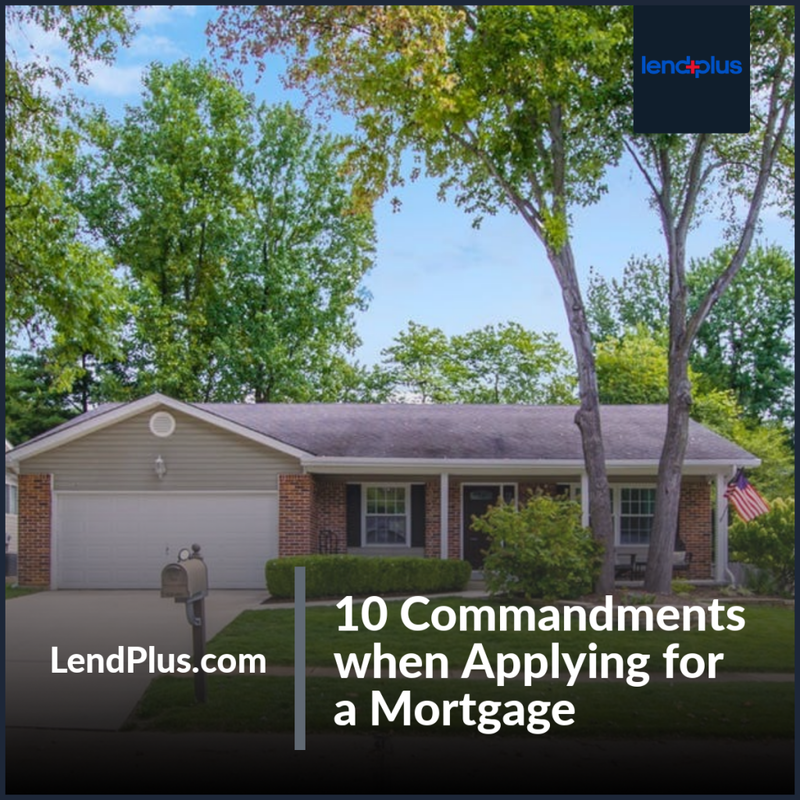 If you’re currently going through the approval process for a home loan these are 10 do’s and do nots to follow to ensure your loan closes on time and hassle free! Thou shall not change jobs or become self-employed. If you change jobs or become self-employed, the way your income is calculated could change and therefore change your approval. Avoid switching jobs or becoming self-employed during the loan process which is typically less than 30 days. Thou shall not buy a car, truck or van unless you plan to live in it. Adding additional debt to your monthly budget will change your debt to income ratio and change your qualifications. To avoid recalculating your debt to income ratio, wait till your loan closes to purchase a vehicle.